In July 2016, the IT Department of the Christchurch City Council contracted Communicate IT to develop a communications framework for the department. Improve communications between staff, customers, councillors and suppliers. Promote IT services and successes. Increase stakeholder confidence in IT by effectively communicating the IT department’s contributions and value proposition to the wider business. Raise the profile and reputation of the IT Department through proactive and positive stakeholder engagement. Communicate IT’s recommended approach to developing an effective Communications Framework was to first understand the effectiveness and attitudes towards existing communications through research and analysis. 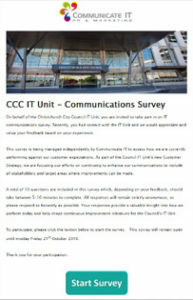 Through two independently managed online surveys, the IT personnel (internal) and rest of Council staff (external) were asked about the quality of IT communications within and across departments. The response to both surveys was excellent with good participation and valuable feedback. For the first time, analysis and reporting provided the IT Department with tangible evidence of the effectiveness of its communications and identified several key areas for improvement. 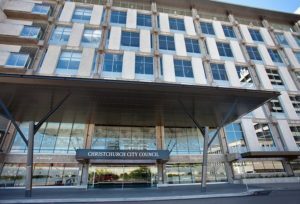 Working with internal teams, Communicate IT then developed the first Communications Framework for the IT unit of the Christchurch City Council. Based on the feedback from the surveys, the new framework document outlined the best communications decisions, strategies and tactics that would support IT unit objectives. “Communicate IT executed the project professionally and delivered a quality communications framework on time and on budget. 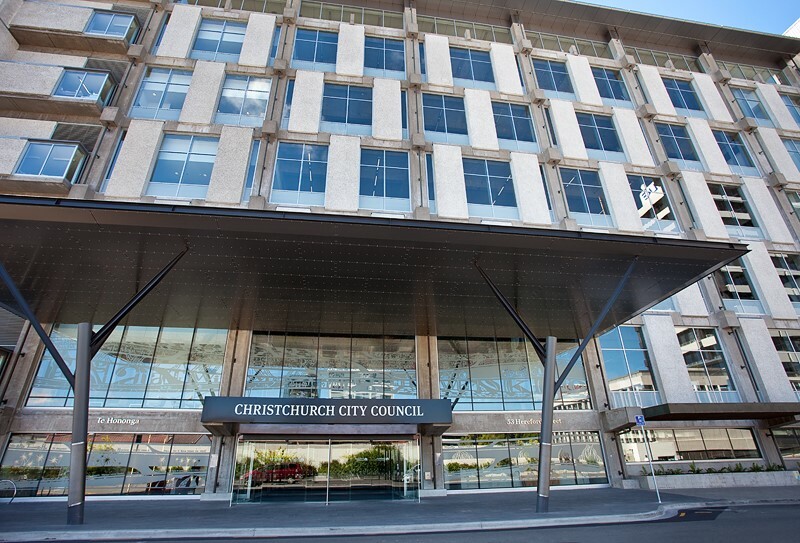 We are pleased with the results and are happy to recommend Communicate IT.” – Gavin Till, Chief Information Officer, Information Technology Unit, Christchurch City Council.